Academic excellence of any University depends upon its ‘Associates’- Faculty and Staff members. 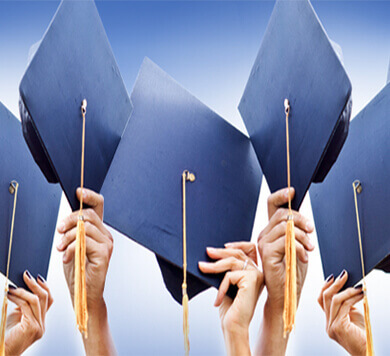 It is therefore of utmost importance that due care is taken in hiring of its Associates with adequate qualification, requisite experience and who can take the University to its ultimate goal. We believe a positive academic ambience is a great facilitator for bringing out the best from its Associates. Although, it does take years to build on positive academic ambience, certain institute policies can have strong impact in promoting the same. It is DIT University’s endeavour that its judicious HR policy can serve as a powerful mechanism to enhance comfort level, sense of belongingness and positivity in outlook and add to the sense of responsibility and commitment of employees. DIT University follows the prevailing UGC norms & recommendation of 6th pay commission for ascertaining qualifications and experience related to recruitment, promotion and salary scale for its Associates. 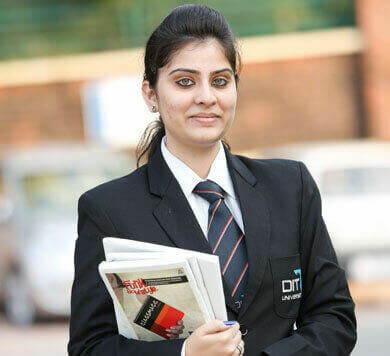 In order to attract excellent faculty from IITs, NITs and other reputed institutions, The University offers special packages which are at par with best Universities in the country. We at DIT University always encourage research & creativity and continuously motivate our faculty to undertake various research projects and / or publish their articles in reputed journals by providing them all the assistance be it financial or otherwise. The DIT University (DITU) endeavours to maintain a work environment that fosters personal and professional growth for every employee. Maintaining such an environment is the responsibility of every employee. The University Authorities and Officers have the additional responsibility to lead in a manner which fosters a healthy working environment based on mutual respect, discipline and a high level of dedication and commitment towards the goals of the University. Administer all policies equitably and fairly, recognizing that jobs are different but each one is important; that individual performance should be recognized and measured against predetermined standards; and that each employee has the right to fair treatment. The University seeks to provide professional exposure and development for its employees with a view to promote quality research and interaction with academia in National and International forum and to interact with Industry/Research Organizations and build the collaborative research capability at the University. Faculty members can also undertake consultancy, R&D projects from industry, other organizations and Govt. bodies such as DST, DRDO etc. The IRG generated from these projects will be shared between the institute and the concerned faculty members as per University policy. Individual faculty members or Teams from the Departments (specialized teams within a Department or interdisciplinary teams) are encouraged to explore partnerships with Industry at various levels like collaborative consultancy or research projects. The project proposal has to be forwarded through the Board of Research. Any funds generated from such sponsored research/ consultancy projects shall be utilized for the development of the University. DIT also contributes towards provident fund, gratuity fund, mediclaim and group insurance coverage for the welfare of the faculty and staff members. The University believes its staff should work in an environment where they are valued and where exceptional performance is recognized. Such an environment also provides greater job satisfaction, increased faculty and staff motivation, creativity and productivity, and improves attraction and retention rates. Exceptional performance is both the effort that achieves outstanding and visible results, and the quiet effort that is consistently applied to uphold and model the core values of the University. Exceptional performance that supports the University’s vision, values and goals is encouraged, recognized and rewarded by the University.